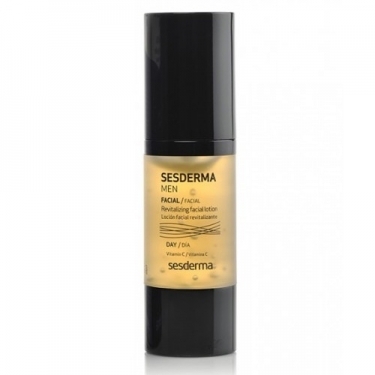 DESCRIPTION: Sesderma Men Revitalizing Facial Lotion from Sesderma is an anti wrinkle care for skins of all kinds. Enriched with Vitamin C, it reduces wrinkles and stains and fights male skin sagging. The texture is fluid and quickly absorbed. Apply in the morning on clean face with a gentle massage.